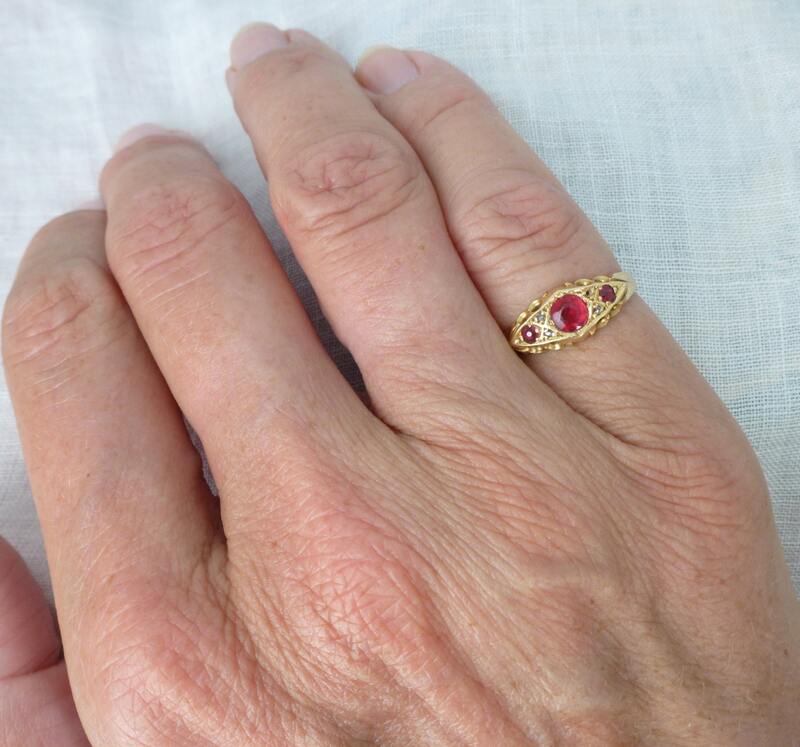 Mercy is a beautiful, petite, red paste stone and diamond ring in 18kt yellow gold. 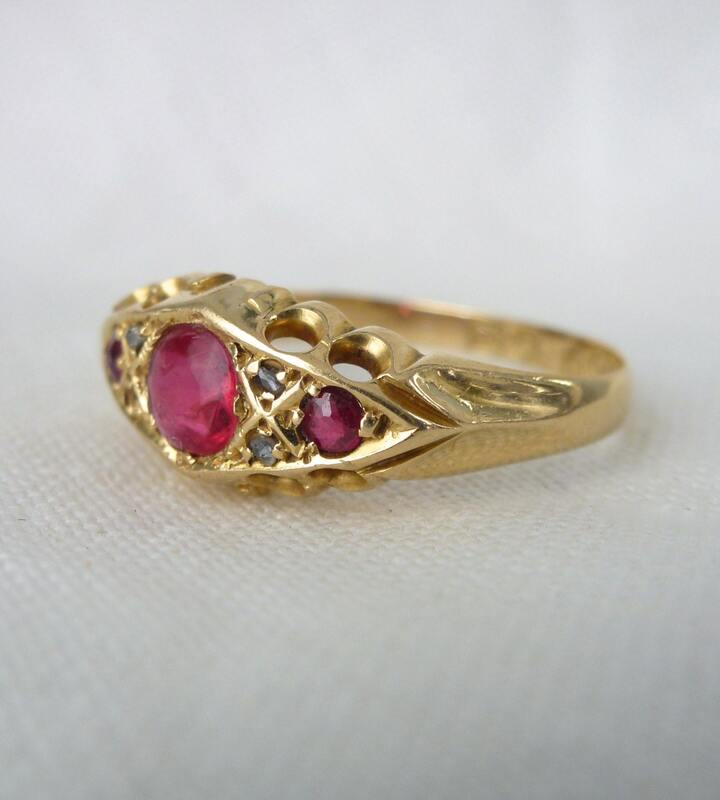 She is so intriguing - 18kt gold hallmarked and yet with glass instead of actual rubies. 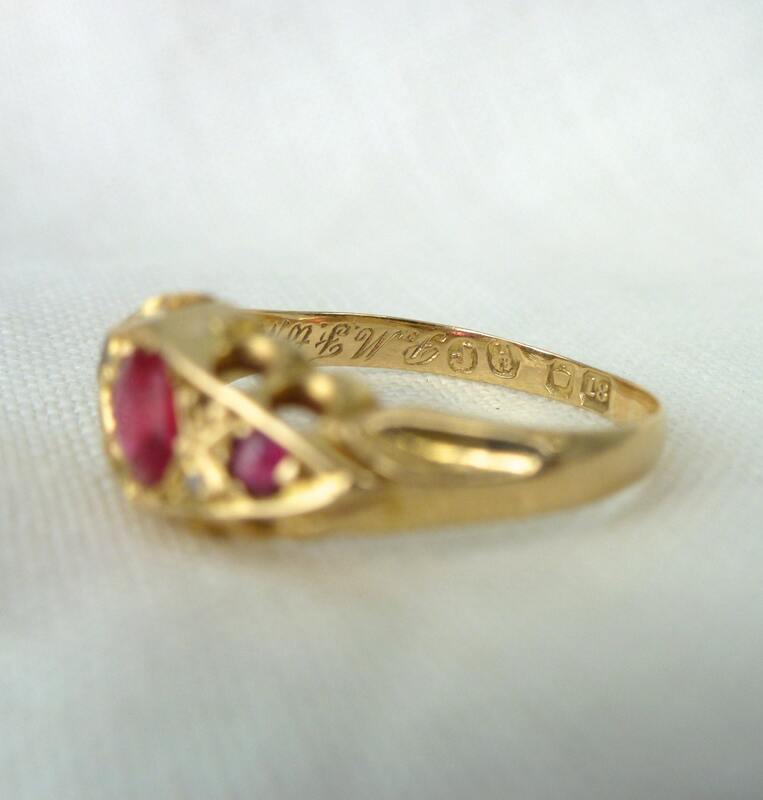 She is inscribed 1-1-13 and also with the initials R.M.F. to M.D. 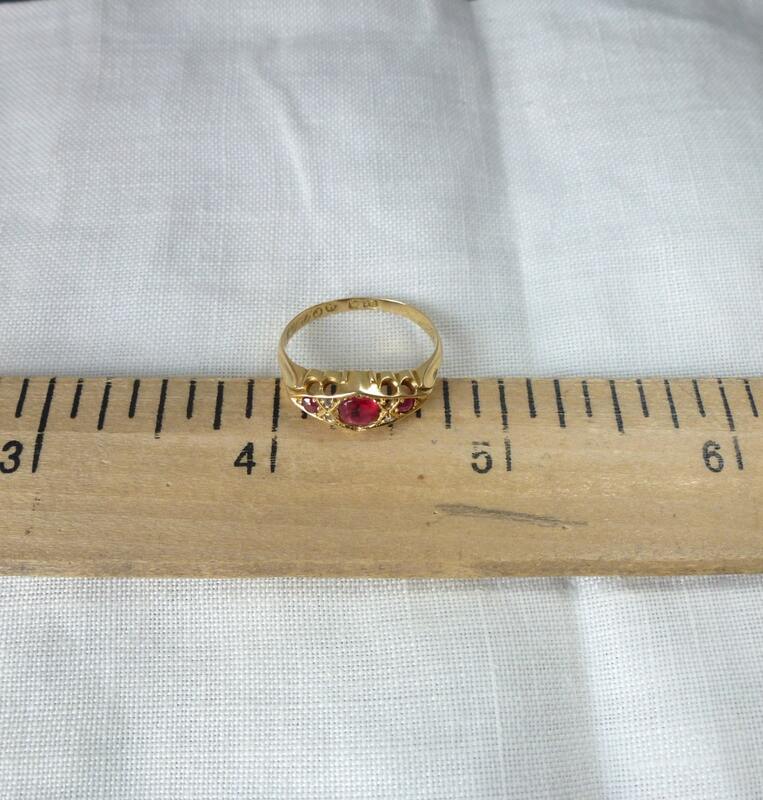 Clearly she is turn of the century, but is she an engagement ring? 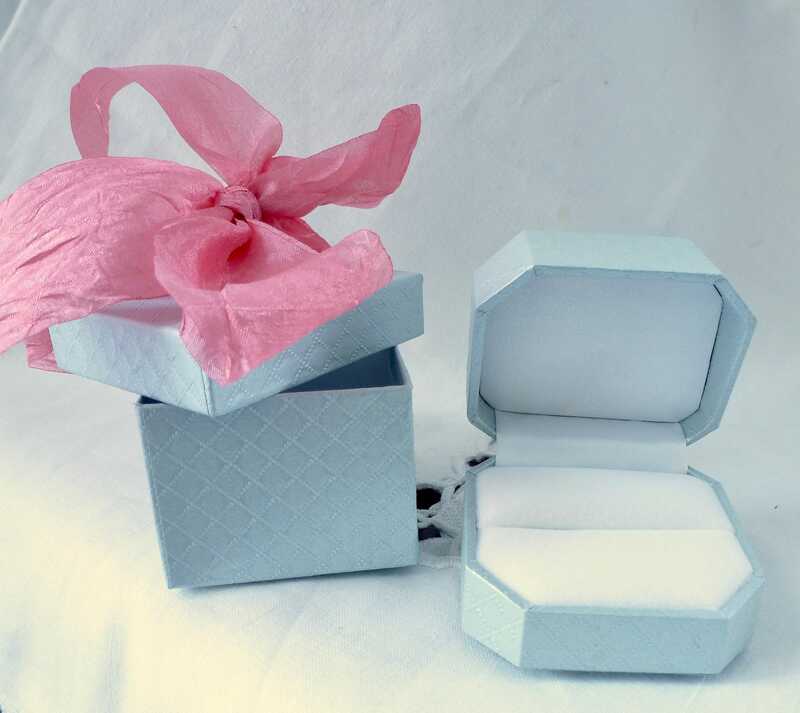 A ring from an admirer? She was worn for a long period of time but is still in very good antique condition. 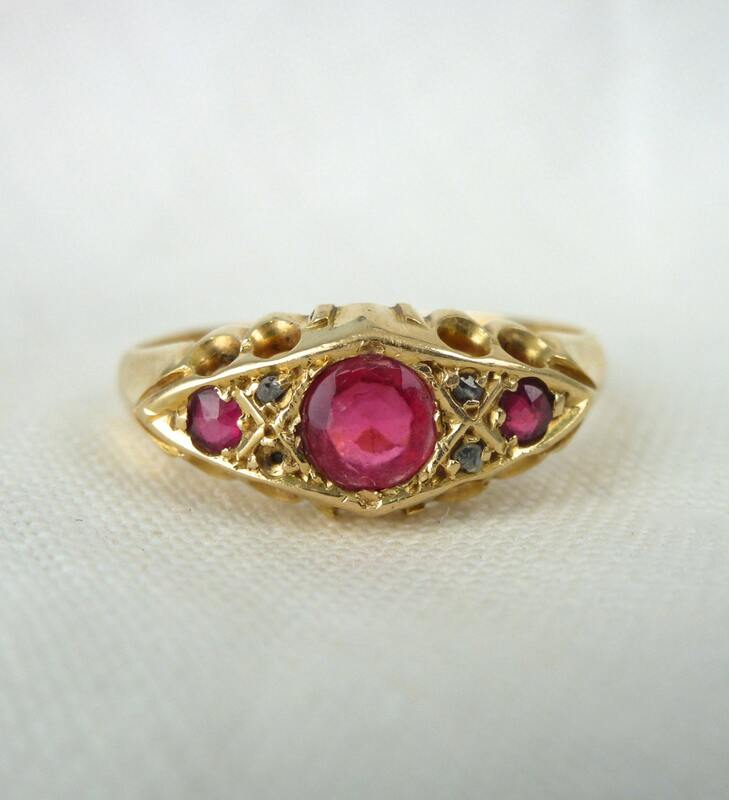 The paste rubies are smoothed down but still a vibrant color and one tiny diamond chip is missing. I would ordinarily have this replaced but feel that this ring should remain original. Mercy has never been sized or the inscriptions and hallmarks would have been lost. She really makes your imagination fly free with potential histories of the lovers who were joined by this gift a hundred years ago! 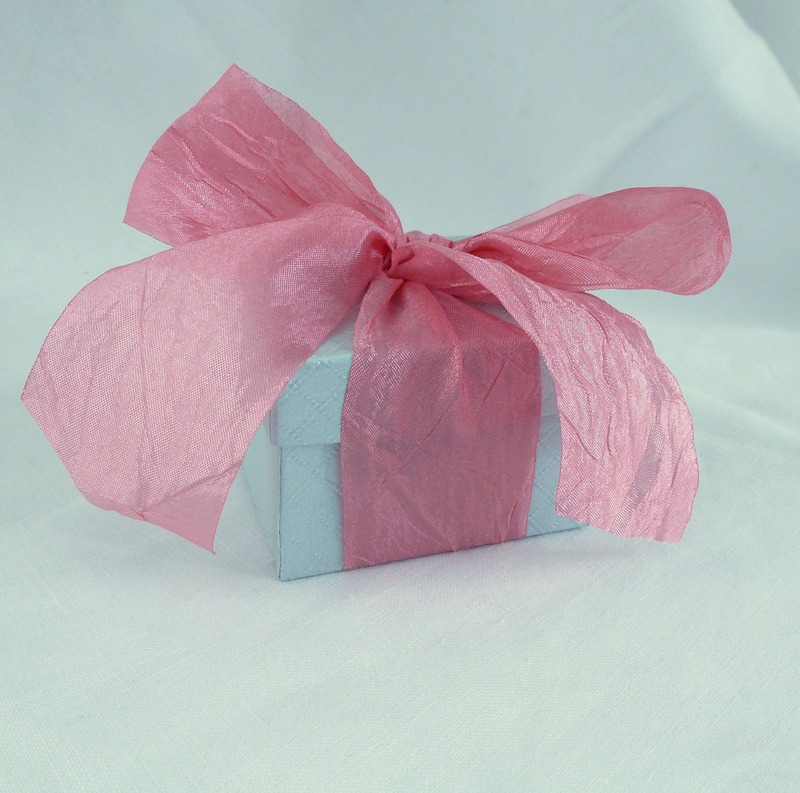 Mercy is perfect for the antique jewelry collector or would make a wonderful, completely unique and special gift today! - inscribed 1-1-13 and R.M.F. to M.D.